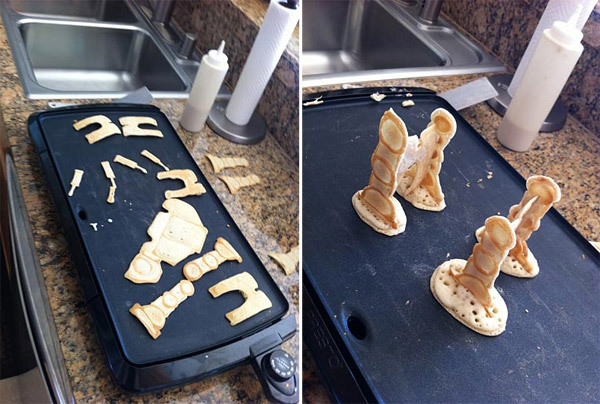 Here’s a tasty breakfast treat for all you Star Wars fans out there, courtesy of Jim’s Pancakes. 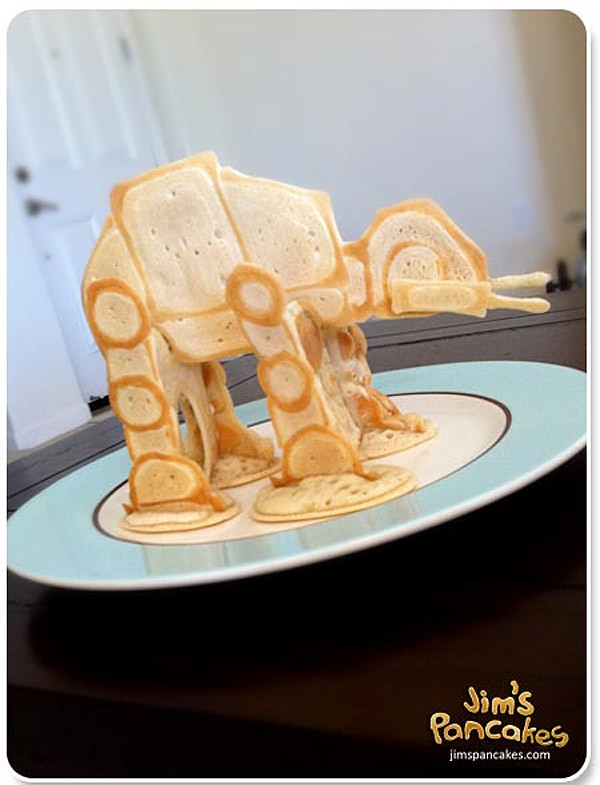 Feast your eyes on what I believe is the world’s first fully 3-dimensional AT-AT pancake. Actually, this Imperial Walker is made from 13 precision-engineered pancake components, carefully glued together with pancake batter. Remember young Jedi, it’s important to have a hearty breakfast before you head off to battle on Hoth, so I can’t think of a better way to start your day.